Original NOS vintage Hippie Style Strap made in Germany in the 70s for watches with 8 to max 10 mm Lug size. 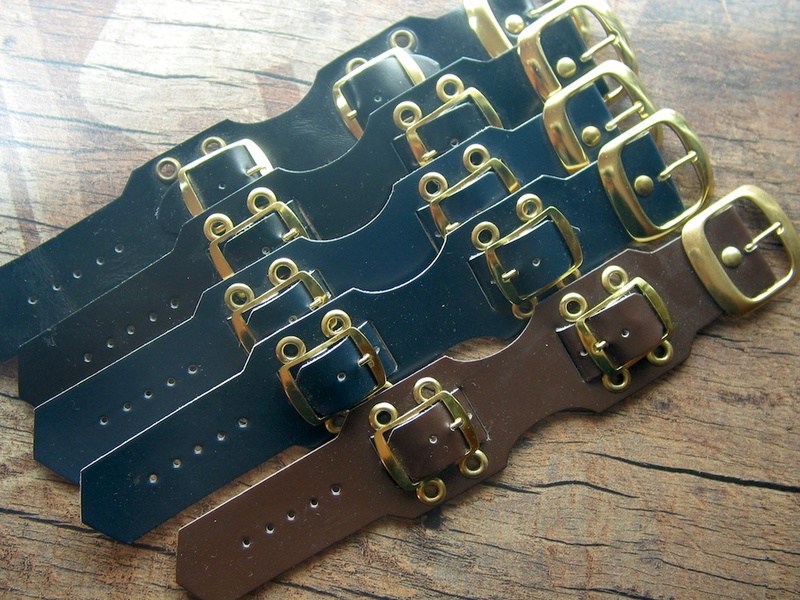 Soft Black Calf leather 205 mm long, 28 mm wide, 16 mm strap & buckle end 1.6 mm thick. Max. lug to lug size 34 mm. With buckle closure on each lug, polished chrome plated Buckle and off white black stitching. 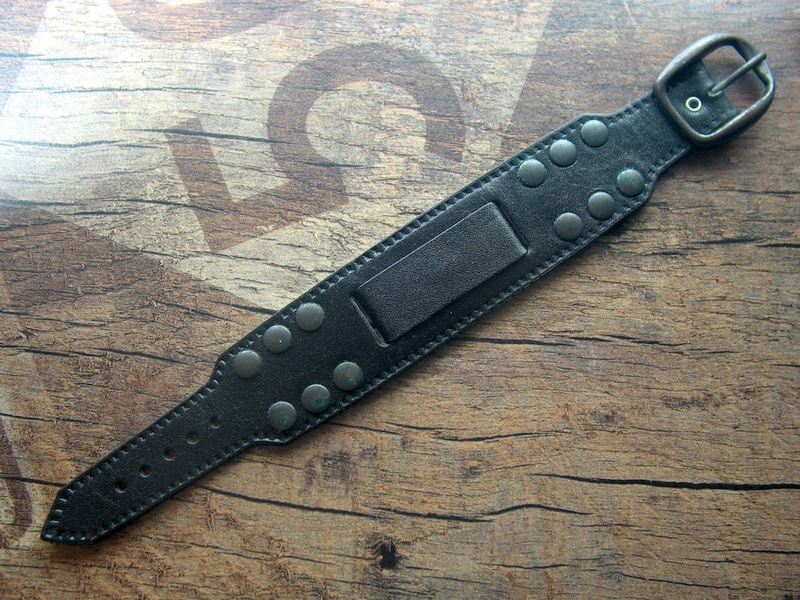 Original NOS vintage Hippie Style Strap made in Germany in the 70s for watches with 18 mm Lug size. Soft Black Calf leather 215 mm long, 33 mm wide, 19 mm strap & buckle end 2 mm thick. Max. lug to lug size 47 mm. With ss clip closure on the back, black coated ss rivets and Buckle and black stitching. 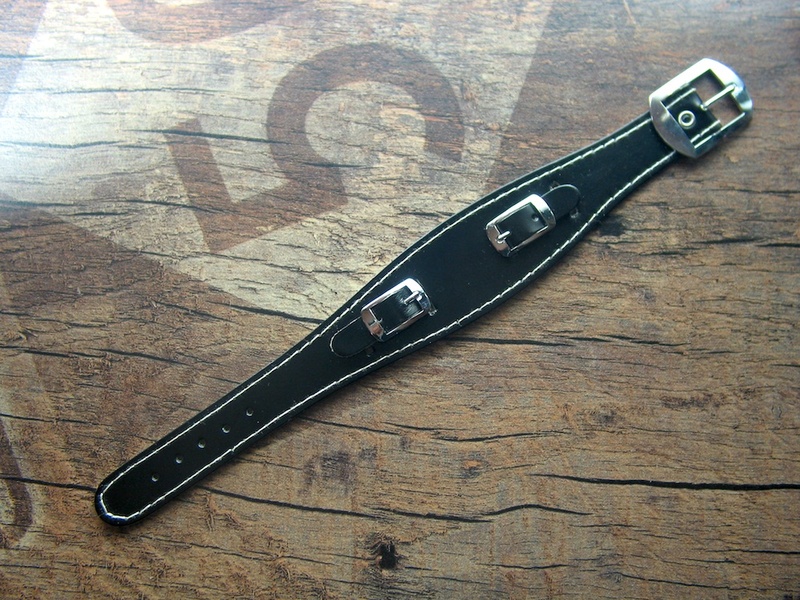 Soft Black Calf leather 190 mm long, 31 mm wide, 18 mm strap & buckle end 1.8 mm thick. Max. lug to lug size 43 mm. Stamped “BIG BOSS”. With ss clip closure on the back, polished ss rivets and Buckle. 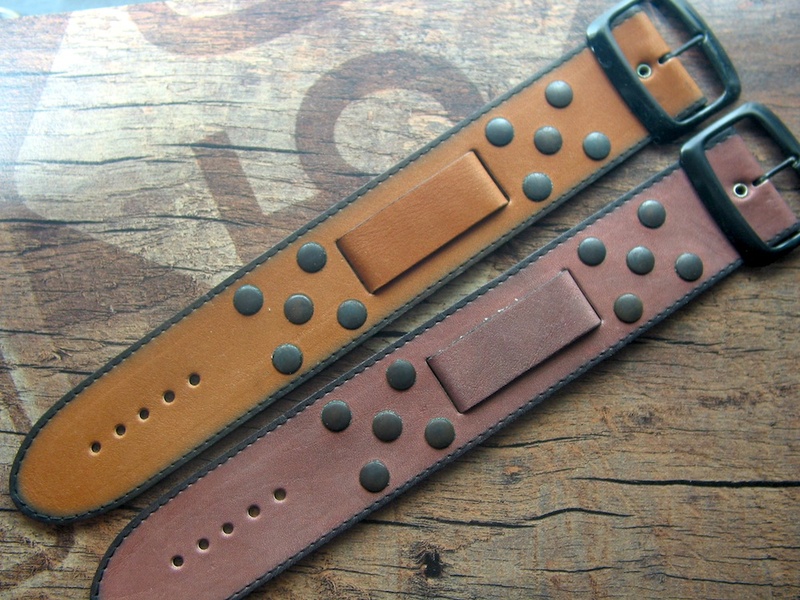 Soft Brown Calf leather 220 mm long, 36 mm wide, 20 mm strap & buckle end 2 mm thick. Max. lug to lug size 44 mm. 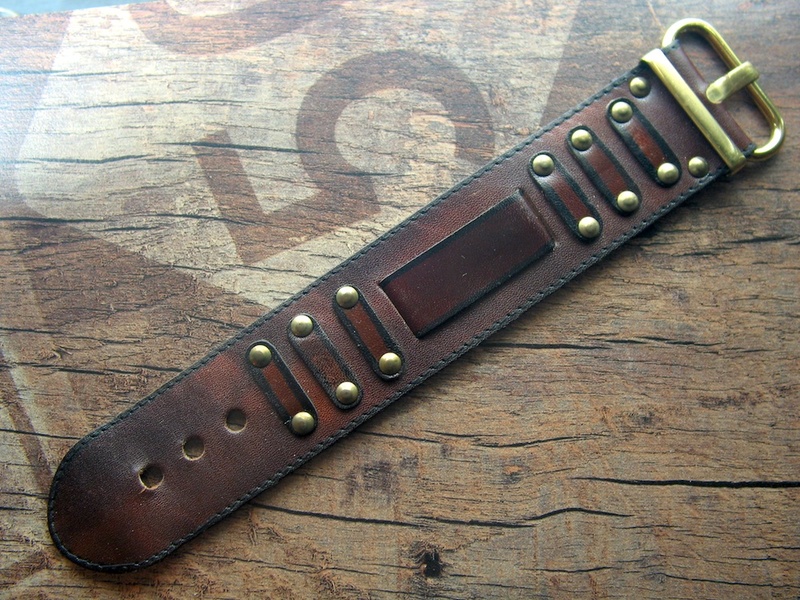 With ss clip closure on the back, dark vintage brass buckle. 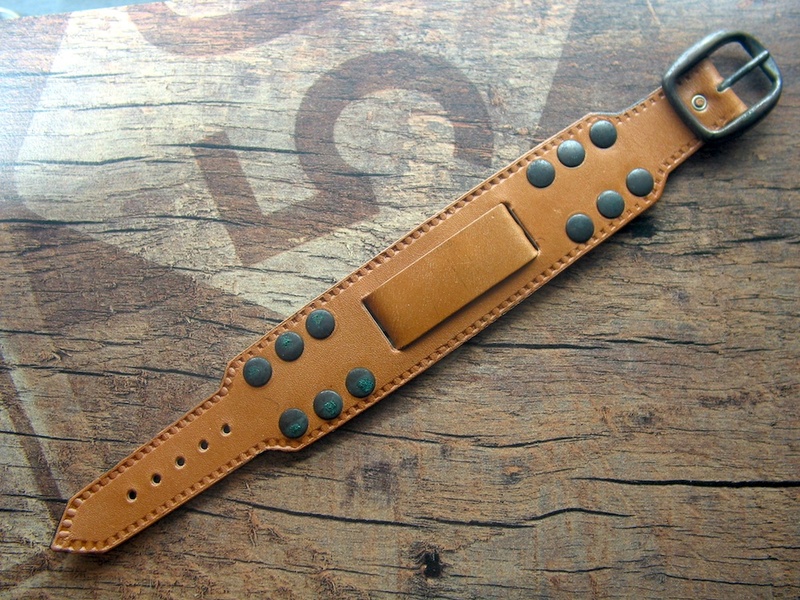 Soft Calf leather 215 mm long, 33 mm wide, 19 mm strap & buckle end 2 mm thick. Max. lug to lug size 47 mm. Soft Calf leather 220 mm long, 35 mm wide, 2 mm thick. Max. lug to lug size 46 mm. Soft dark brown Calf leather 220 mm long, 40 mm wide, 2 mm thick. Max. lug to lug size 47 mm. With ss clip closure on the back, heavy brass rivets and Buckle and black stitching. Original NOS vintage Hippie Aviator Strap made in Germany in the 70s for watches with 18 mm Lug size. 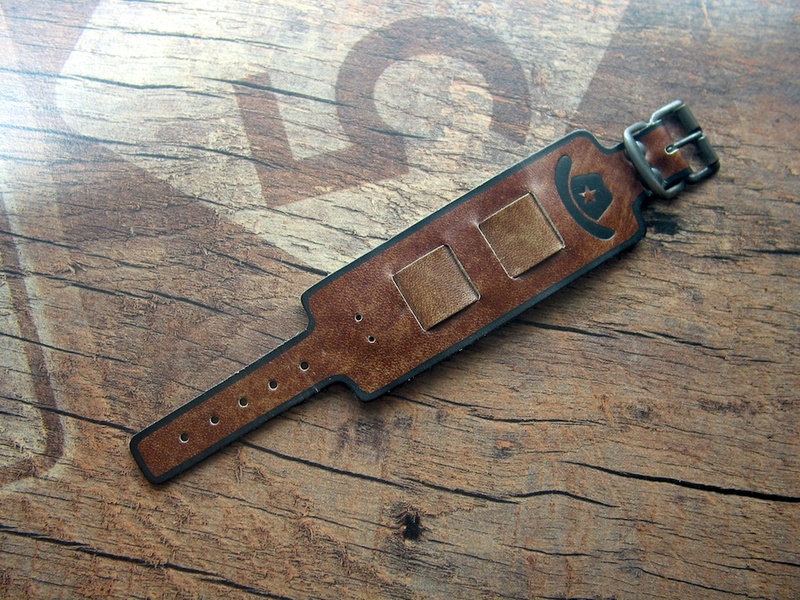 Soft Calf leather 225 mm long, 35 mm wide, 18 mm strap & buckle end, strap is 1.2.mm thick, the Pad is 2 mm thick. Max. lug to lug size 43 mm. Soft Calf leather 225 mm long, 25 mm wide, 25 mm strap & buckle end, strap is 1.8.mm thick, Max. lug to lug size 41 mm. Brown stitching. 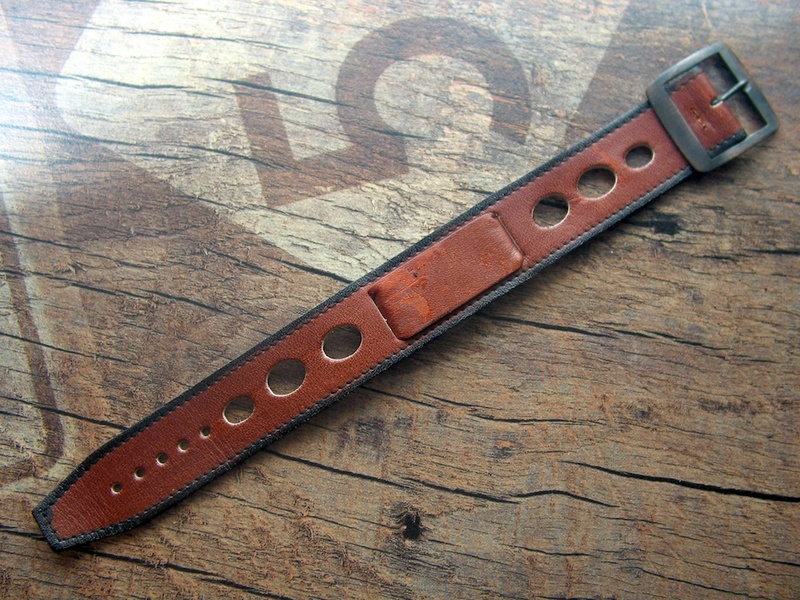 Original NOS vintage Hippie Cowboy Strap made in Germany in the 70s for watches with 18 mm Lug size. Soft Calf leather 175 mm long, 36 mm wide, 16 mm strap & buckle end, strap is 1.8.mm thick, Max. lug to lug size 45 mm. Original NOS vintage Hippie Indian Style Strap made in Germany in the 70s for watches with 16 mm Lug size. 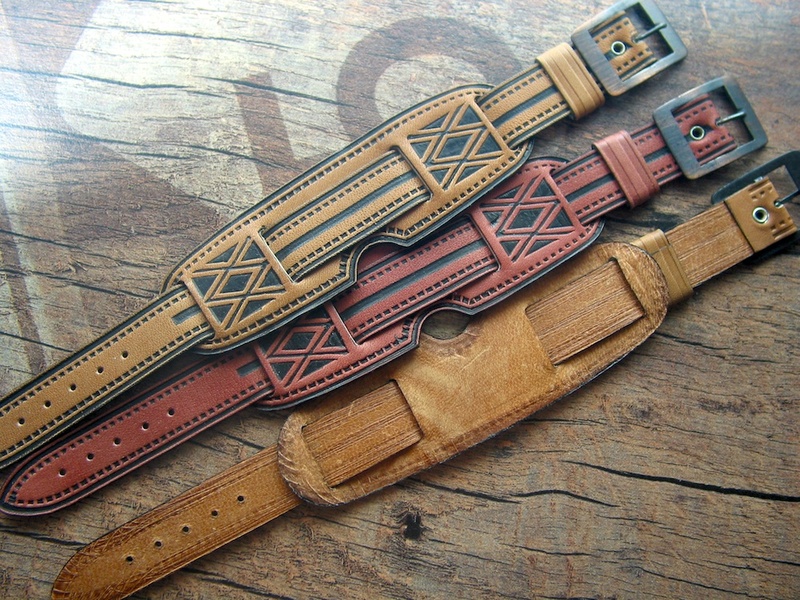 Soft Calf leather 185 mm long, 31 mm wide, 16 mm strap & buckle end, strap is 2 mm thick, brown stitching. 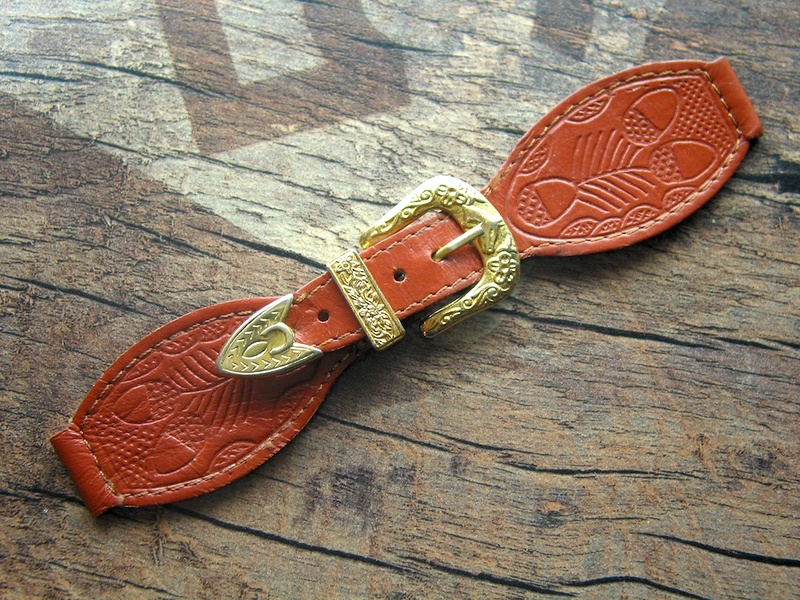 Vintage y gold plated Indian Horse Head Buckle , loop and Strap End. 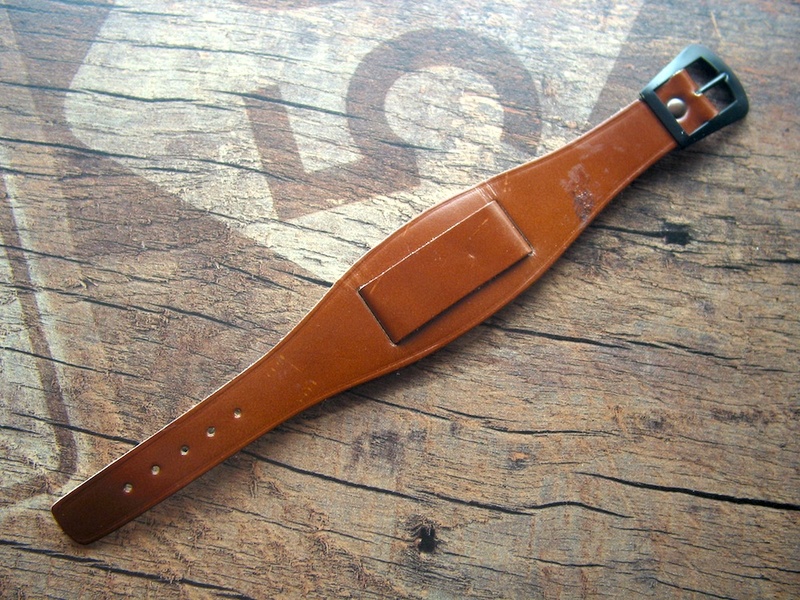 Soft Calf leather 215 mm long, 35 mm wide, 18 mm strap & buckle end, strap is 1.8.mm thick, Max. lug to lug size 45 mm. Vintage dark plated Buckle and Rivet. 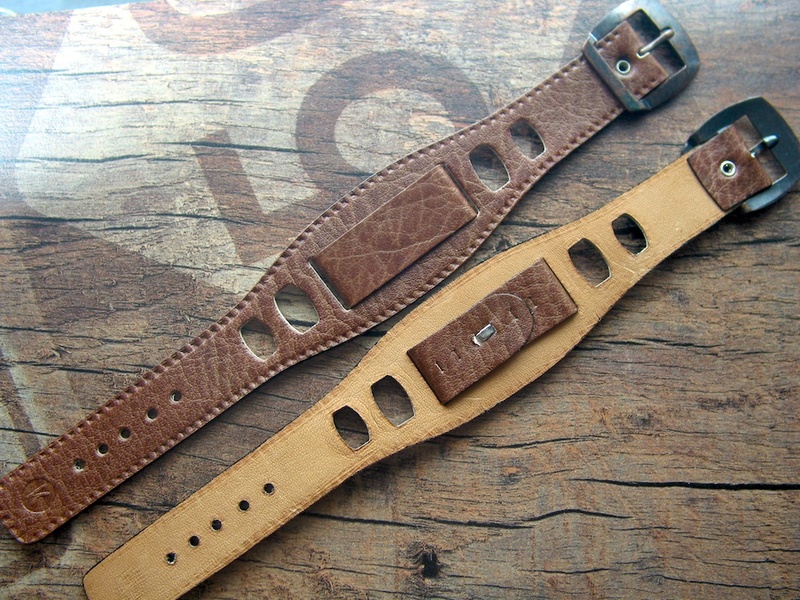 Original NOS vintage Hippie Style Strap made in Germany in the 70s for watches with 16 mm Lug size. 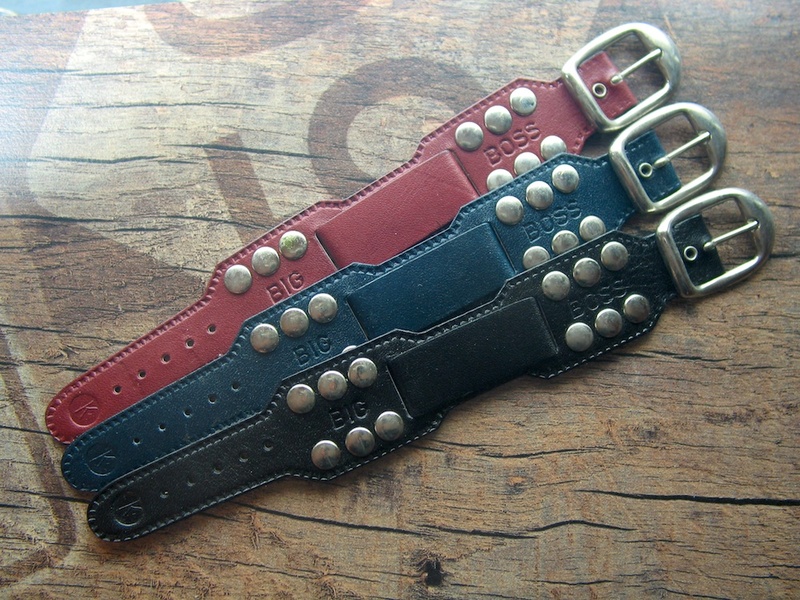 Soft Calf leather 185 mm long, 35 mm wide, 26 mm strap & buckle end 1.9 mm thick. Max. lug to lug size 41 mm. With buckle closure on each lug, polished y gold plated Buckle and rivets.